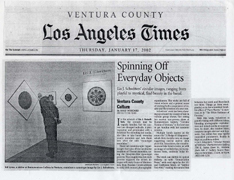 Born in Los Angeles, California, Photographic Artist & Printmaker, Lis J. Schwitters began her interest in photography in 1976 and continued as a Staff Photographer for her high school, college, and local community newspapers having published over 2000 photographs. In 1985, she received her Bachelor of Arts Degree in Photocomunications from California State University at Fullerton where she studied under Professor of Photography Emeritus, Darryl Curran and visiting Professor John Szarkowski. While enjoying both photographing (the capture of an image), and printing (the creation of an image), she directed her career towards laboratory work. 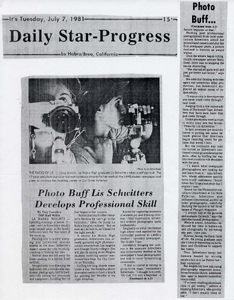 Schwitters has worked as a Photographic Lab Technician (Printmaker) for such notable institutions as California Institute of Technology/Jet Propulsion Laboratory (NASA/JPL) in Pasadena, Warner Bros. Studios in Burbank, and Paramount Pictures in Hollywood, California. 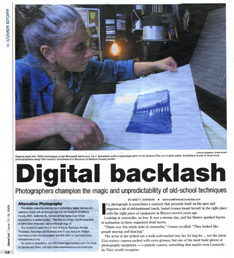 As a photographic artist her prints have been featured in hundreds of exhibitions, including in the Palm Springs Art Museum, the Carnegie Art Museum in Oxnard, and the Center for Photographic Art in Carmel. 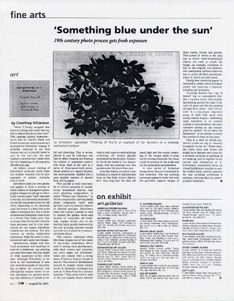 Her photographic images are in the permanent collection of many museums, including in The Getty Research Institute (GRI), The Los Angeles County Museum of Art, The Museum of Modern Art, The New York Public Library, and The California Museum of Photography, as well as in private collections across the Country. Encompassing all types of photographic mediums from traditional to digital, Schwitters enjoys exploring a wide variety of themes ranging from psychological topics to the beauty of her surroundings. 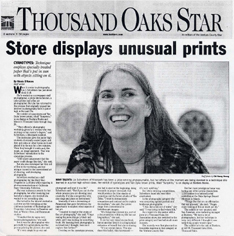 Ventura County Star, August 9, 2001, p B3, ill.
Ventura County Star, June 12, 2008, Time Out Cover Story, illus. "Something blue under the sun"
Ventura County Reporter, August 23, 2001, p 24, ill.
Daily Star-Progress July 7, 1981, p A1, ill.